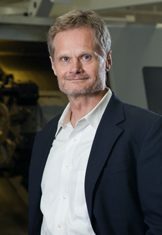 A co-founder of BWC and president since 1987, Mike Bergey is a mechanical engineer and an internationally recognized expert in the field of small wind turbines, distributed generation, and rural electrification. He has authored more than 70 technical papers and articles in the field, provided testimony to Congress, and serves as a consultant to numerous government and international agencies. He holds one patent in the wind energy field. He has twice served as president of the American Wind Energy Association (AWEA) and served on the AWEA Board of Directors from 1981 to 2007. He is a past chairman of the U.S. Export Council for Renewable Energy, member of the U.S. Department of Commerce “Environmental Technology Trade Advisory Committee”, and a past president of the Oklahoma Renewable Energy Council. Mr. Bergey is the acting-president of the newly formed national trade association, the Distributed Wind Energy Association. He chaired the AWEA Small Wind Turbine Committee for over 20 years and authored the 2002 AWEA “U.S. Small Wind Turbine Industry Roadmap: A 20-year Industry Plan for Small Wind Technology”. He chairs the AWEA Small Wind Turbine Certification Committee, which drafted the AWEA 9.1-2009 certification standard has been adopted in the U.K. (as a BWEA standard). U.S. and Canadian adoption is pending. Mr. Bergey initiated the formation of and serves on the board of the Small Wind Certification Council (SWCC). In 2003 Mr. Bergey served on Oklahoma Governor Henry’s EDGE Committee, which prepared a strategic plan for economic development in Oklahoma. He then served two terms on the Governor’s Council for Workforce and Economic Development. Mr. Bergey was Workforce Oklahoma’s “Cleveland County Businessman of the Year” in 2005. He was president of the Norman Chamber of Commerce in 2008 and served on the Chamber Board from 2003-2010.